Sant'Agata Bolognese, ITALY (Bloomberg) -- Automobili Lamborghini S.p.A., maker of the $450,000 Murcielago SuperVeloce sports car, would consider adding a four-door sedan to its portfolio of two-seater models to attract customers amid declining sales. Building a four-door sports car would allow Lamborghini to compete against Maserati S.p.A.'s Quattroporte and Aston Martin Lagonda Ltd.'s Rapide. 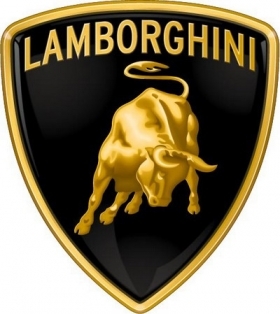 Lamborghini, which is a subsidiary of Volkswagen AG, has been unable to capitalize this year on a recovering market for ultraluxury autos, or vehicles costing more than $200,000, with first-half sales of 674 cars, down 18 percent from a year ago. Any addition to the Gallardo and Murcielago model lines must yield “a real leap” in deliveries, Winkelmann said, adding there isn't a plan or decision on a third model. Sales in the United States, the largest market for ultraluxury cars, may jump 70 percent for the $200,000 to $400,000 category this year after falling 37 percent in 2009, according to researcher IHS Automotive. BMW AG, the biggest premium automaker, this week posted record first-half sales of 970 autos at its Rolls-Royce unit because of demand for the four-door Ghost. Luxury-car manufacturers may sell 19 percent more vehicles priced above $400,000 in the United States in 2010, IHS Automotive estimates showed. Lamborghini, while never producing a sedan, built a four-seat coupe 40 years ago called the Espada, which it discontinued in 1978. Winkelmann showed a sedan called the Estoque in 2008, which he never built. Any Lamborghini four-door model could rival the Panamera built by Porsche AG, which is currently merging with VW. Volkswagen Chairman Ferdinand Piech, who was then VW CEO, purchased Lamborghini in 1998 along with Bugatti and Bentley to create a stable of ultraluxury carmakers. Adding another model line would keep with Lamborghini's strategy of expanding the sports car manufacturer with a new auto every year. Annual sales have increased tenfold since VW's purchase. VW added the Gallardo model line in 2003 to the Murcielago. The Italian division also complements its lineup by building limited-edition variants such as the 2006 Miura concept car and the 1.1 million-euro Reventon Roadster offered last year, its costliest model to date. Winkelmann, who has run Lamborghini since 2005, reported the carmaker's biggest pretax profit in 2008 of 60 million euros. A year later, Lamborghini posted a pretax loss of 35 million euros as sales plunged 38 percent after the financial crisis. Winkelmann, born to German parents in Berlin and raised in Rome, spent more than 10 years working at Fiat S.p.A., which owns Maserati and Ferrari, before he was hired to run Lamborghini by Volkswagen CEO Martin Winterkorn, then head of the Audi unit. Based in a small town of about 7,000 near Italy's northern city of Bologna, Lamborghini's only factory is hidden behind a dark all-glass building, reflecting the black color of the carmaker's raging bull logo. Employing about 800 workers, the facilities include a showroom, executive offices and a two-story museum that was opened in 2001. Lamborghini factory workers assemble vehicles by hand from bodies crafted at Audi. Lamborghini aims to double deliveries in China, the carmaker's second-largest market after the United States, to more than 150 vehicles this year, Winkelmann said. The number of Chinese dealers will increase to 12 from eight, he said. Lamborghini, founded in 1963, is also expanding research to produce lower weight cars as emission standards are tightened in Europe and the United States. The VW unit last month set up a center at its headquarters to develop the light composites that complement metals in car frames and in 2009 began a partnership with aircraft maker Boeing Co. to crash-test carbon fiber. Lamborghini, whose Gallardo Spyder emits about 400 grams (14.1 ounces) of CO2 per kilometer (0.62 mile), aims to cut emissions on average 35 percent by 2015. Audi's A3 compact, its lowest polluting model, spurts out 99 grams per kilometer. Lamborghini has already lowered the Gallardo LP 570-4's weight 70 kilograms (about 154 pounds) using carbon fiber materials.